Colin and I are beyond blessed and thankful for everyone who has given financially or that has continued to give to us over the last 4 years. We have NEVER needed for anything. There have been many times when we would just pray, and God would provide, through you. It is amazing to see! However, we have always felt and known that God tells folks to give differently. And we want you to be obedient to that instruction. I wanted to share with you some very wonderful local (Soroti area) organizations and people that we have come to know over the last few years. On this list there might be someone who God will lead you to help support or get involved with. 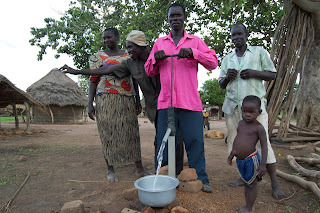 Water For All International - Now, if you give directly to us, you are just supporting us. 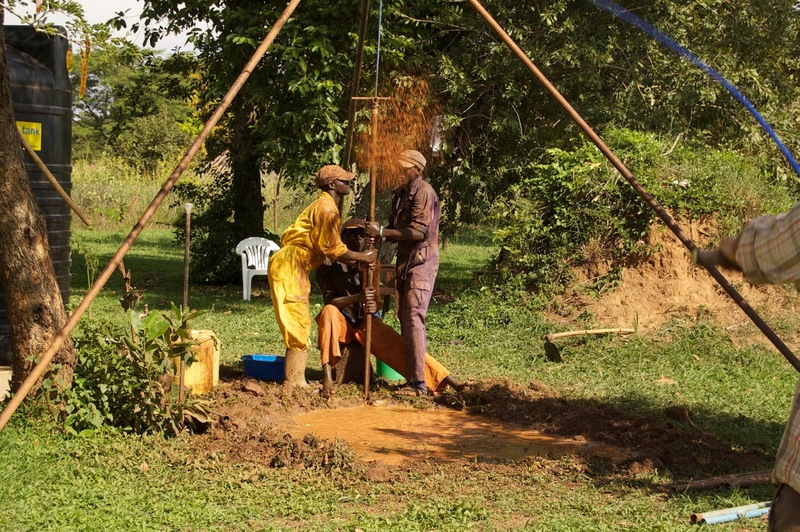 That financial support allows us to remain and work in Uganda (And thank you!!) 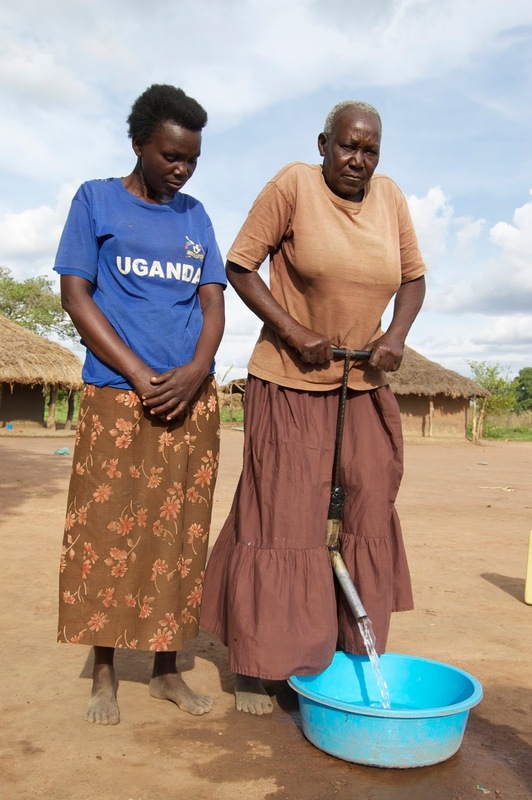 However, you can also give to WFA and that money goes to the whole program. According to the WFA website, the latest count is 3,383 (approx.) 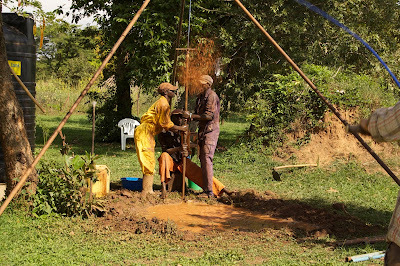 water wells drilled so far by folks WFA has trained in 25 different countries. 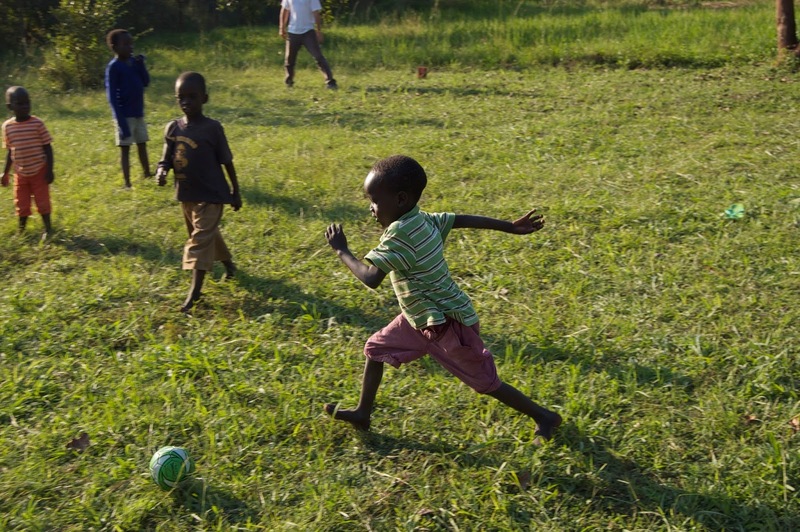 With WFA, we raise our own living expenses and WFA pays for the program fees. 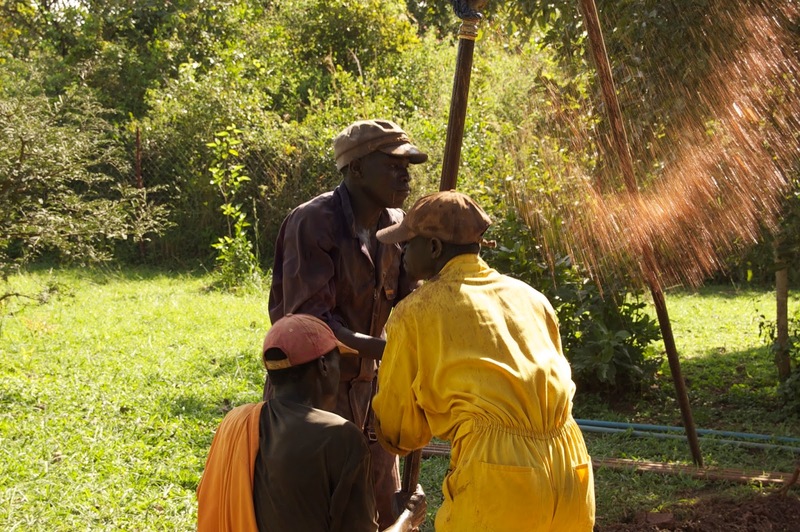 So all the drilling we do is funded by WFA donations. You can find out more on their website WFAI. Be sure and check out what other WFA programs are doing in other countries! 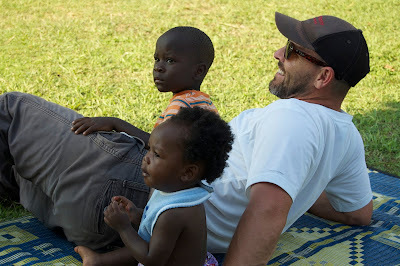 Global Care - This is who we are partnered with here in Uganda. However, they have programs all over the world, not just here. 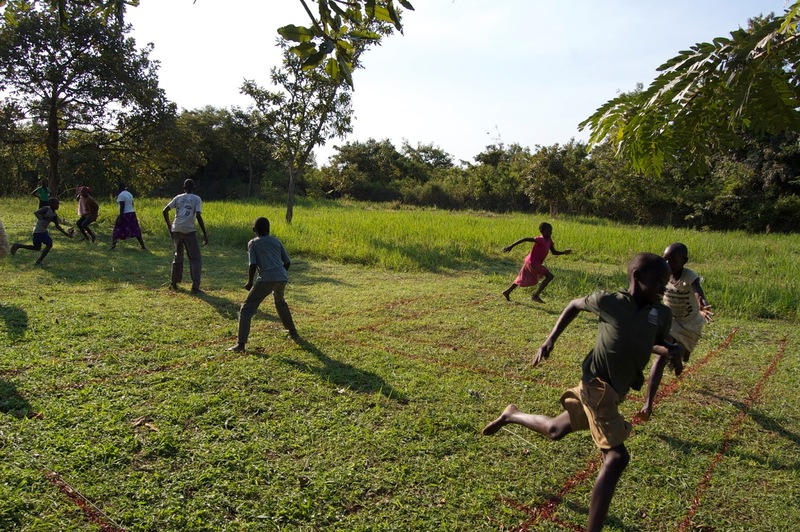 Global Care is an Non-Government Organization (NGO) from the UK, and they focus on the most vulnerable children within the countries that they are currently in. 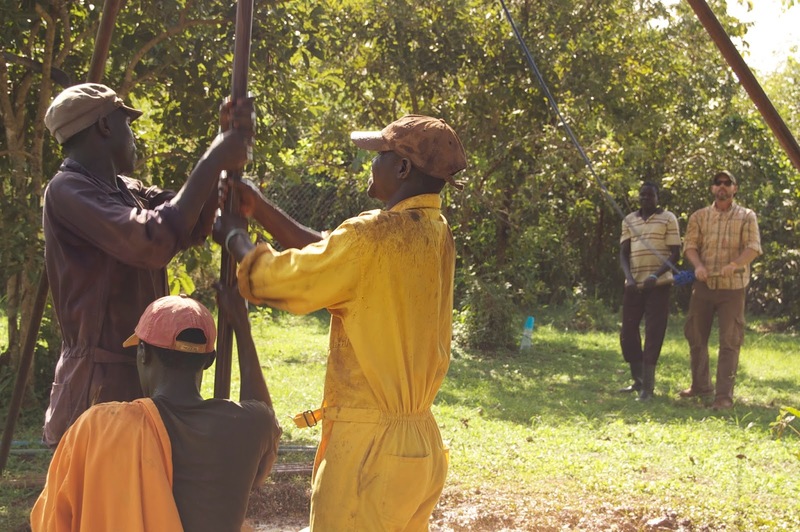 In there three locations within Uganda they have a school sponsorship program, operate a school, teach trades such as tailoring and carpentry, are involved in agriculture, and also have a program where they work with disabled children from around Soroti town. For more information here is the link to the Global Care website GC UK. Also, this would be a wonderful place to come and work/volunteer if you have experience working with disabled children or adults. The staff at GC are looking for someone to come and help teach and work with care givers of the children in the disability program. An occupational therapist would fit the description perfectly! So if you don't feel like God wants you to give monetarily, maybe He wants you to give of your time! Amecet - This is the baby home where both our children stayed for a short time before being placed in our home. 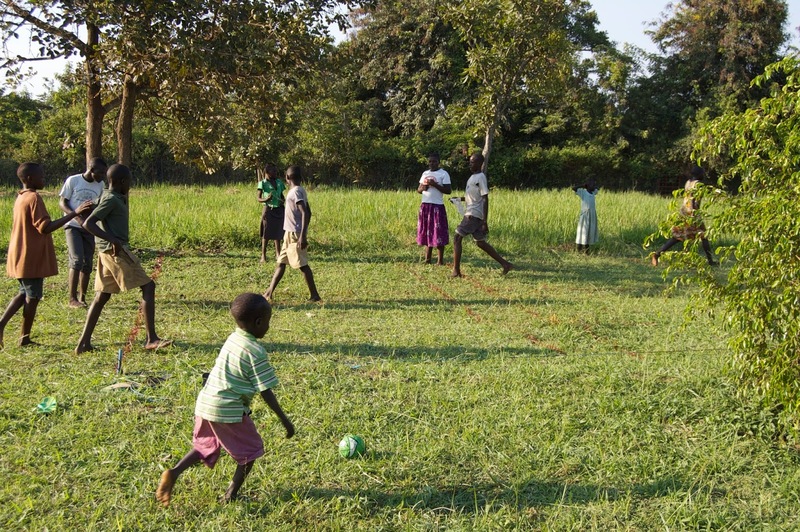 This is a description of what Amecet does: "We are reaching out to HIV infected and affected children. We also are caring for new born babies, who lost their mother after the delivery. The third group of children we help, are children who need a safe place, they mostly come via the police." This ministry is amazing and our lives are forever changed because of it. 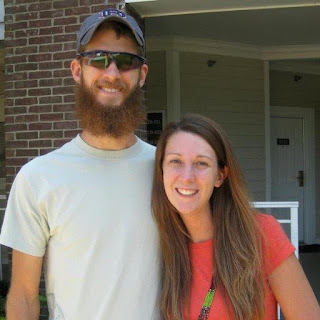 The home is partnered with YWAM (Youth With A Mission). Take a moment and check out the blog from Amecet at Life In Soroti. To find out the best ways to give, contact Els at info@amecet.org. Amecet is also a wonderful place to come and volunteer if you love working with children and want to serve. These are just a few great organizations that we have gotten to know over the years. 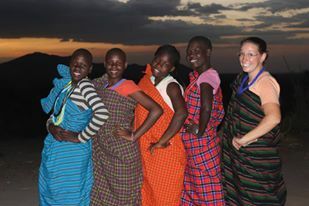 Along with these wonderful places, we have also been blessed by meeting some other missionaries here that we love dearly. I want to pass along their information as well. Jennifer J. Kragt - Jennifer is a life saver. Both literally and figuratively. She is a nurse who is working here by herself (for almost 6 years) with e3, and on more than one occasion been someone's life saver. Mine included. She works in one of the hardest places in Uganda and does so with a true servant's heart. 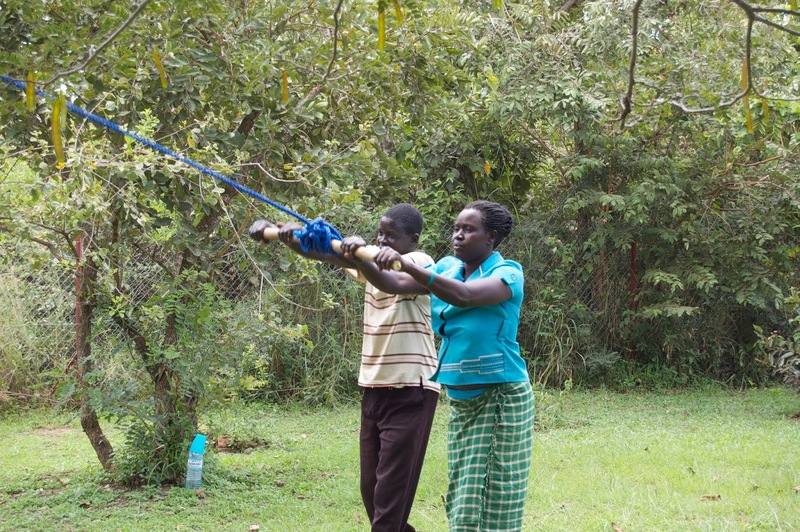 Jennifer is busy leading trainers on health-related subjects, family planning, village-level healthcare, HIV/AIDS teaching, midwife training, etc. She does it all! (She is currently back in the US for a short visit.) Here is the link to her blog A Time As This. Her stories never cease to amaze me and I am thankful that God has put her here! 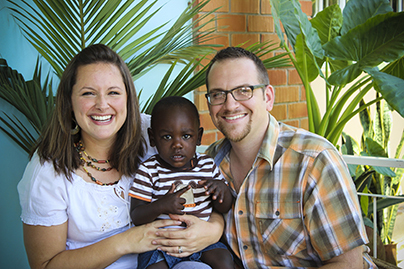 Daniel, Rachel and Nathan Graham - Another wonderful family to pray about supporting are the Grahams. 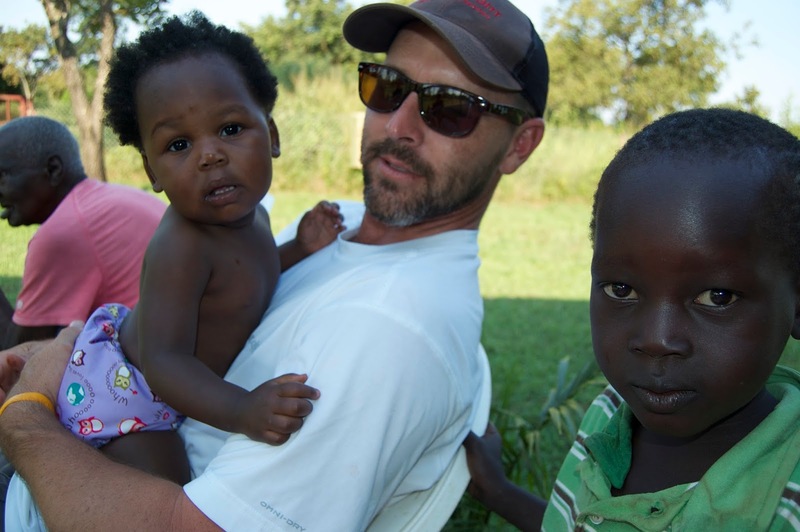 They are working through Christian Veterinary Missions (CVM) and have been here in Uganda for 3 years. The focus of Daniel and Rachel's ministry is on sustainable community development through training and facilitation. 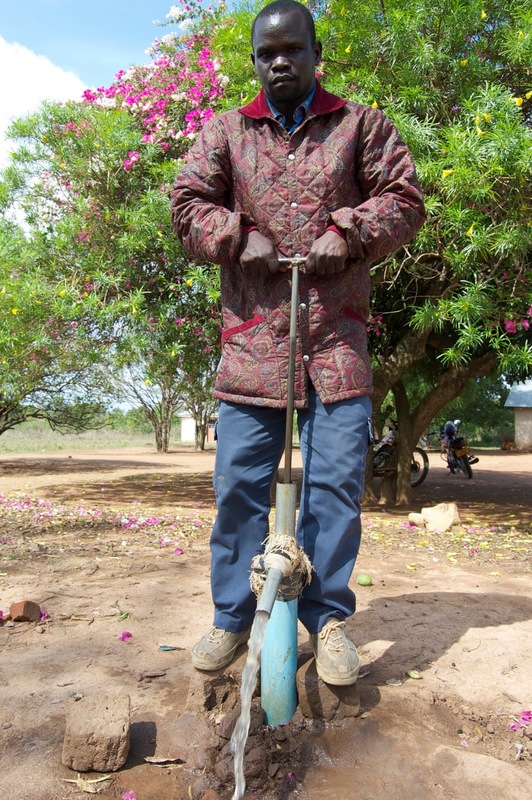 Daniel promotes livestock health through village farmer trainings, animal breeding programs, and livestock revolving loans. Rachel serves through her giftings in financial management, technology, and human resources. She is also involved in student/orphan ministry and with a women's groups in the local church. Here is a link to their CVM profile GRAHAM and a link to their blog His Very Own. Aaron and Hannah Mason - This is the newest couple to join WFA and we are so excited that they are going to be heading to Uganda! This is not their first time living in Africa, or Uganda. 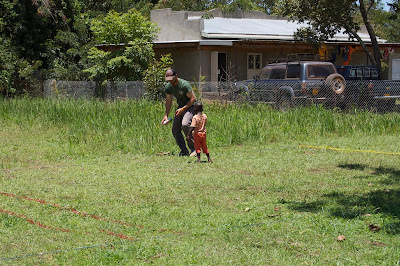 But they just joined with WFA and will be looking for the place that God wants them to go while they are here. They will be doing the same sort of program that Colin and I do here around Soroti, and what other WFA'ers are doing around the world. They are still stateside raising support and will head this way the first part of 2016. 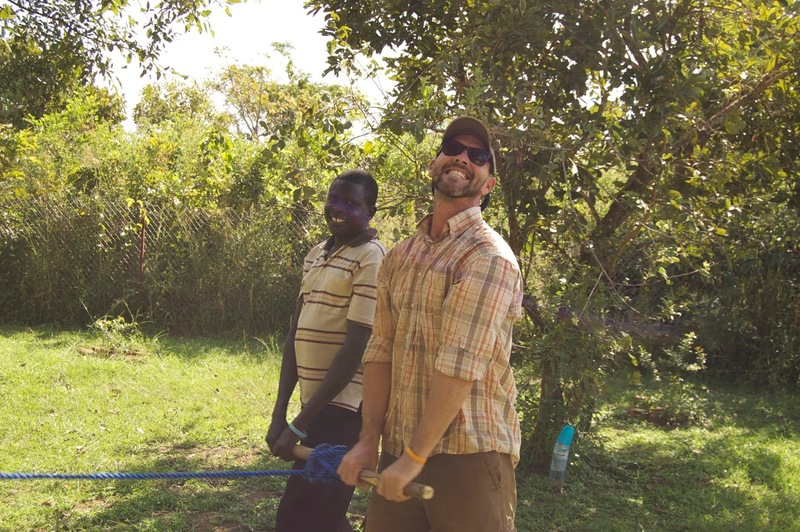 To get to know the Mason's better, here is a link to their blog Masons Gone Fishing and if you want to give directly to the Masons, go to the Water For All website and click on the "How You Can Help/Donate" tab and specify Mason. If you have any questions about any of these organizations or folks, please feel free to contact us. Again, Colin and I are so thankful for everyone who has given to us over the years, and we hope that this blog opens up more opportunities for you to join in and be a part of what God is doing around the world. 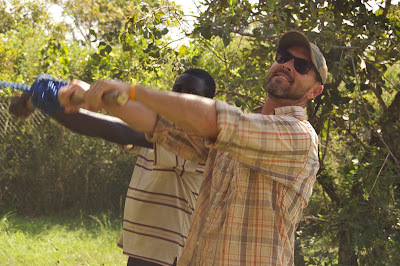 We originally wrote a blog about our diet in Uganda several years ago, shortly after arriving in Ugand in 2012. A few years have passed and our diet has changed. 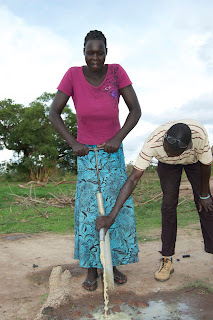 There are so many more food items available now in Soroti than there were 3+ years ago. For instance, maize porridge is no longer our go-to breakfast. Now we can go to the local supermarket in town and pick up a box of corn flakes if we want. I (Colin) have never been much of a breakfast eater, unless it's breakfast burritos and then I can eat breakfast all day long, however breakfast burritos do not exist in Obule. When I do eat breakfast I go for the cassava chips, chapati, or occasional artery-clogging "rolex." Ronnie has become a master tortilla maker and I eat those by the dozen when she makes a batch. Ronnie and the kids do eat porridge from time to time, cereal, or even yoghurt for breakfast. For lunch I eat beans and posh mainly when we are drilling. I love Ugandan food and it loves me. When we are out on the drilling site we usually have a cook that prepares beans much the same way as you'd get in Texas; similar to pintos. We always have a starch to go with them and it is usually posh or atapa. Posho is maize flour cooked in boiling water. It thickens up quite a bit and takes on the consistency of super thick, finley ground grits. 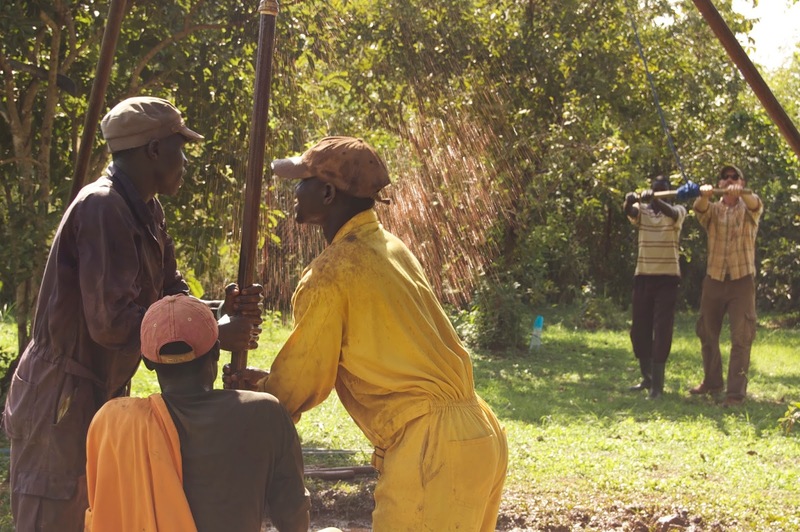 Atapa is made from cassava flour mixed with either sweet potatoes, millet or sorghum. It has a unique consistency. The best thing I can think to compare it to would be sourdough bread starter - like the dough but before you bake it. It has a gritty texture and a slightly sour taste depending on how it is prepared. The diet changes greatly based on the season. For instance, during mango season we eat mango by the basin full. During maize season we eat tons of roasted maize. During sweet potato season we eat a lot of boiled potatoes. 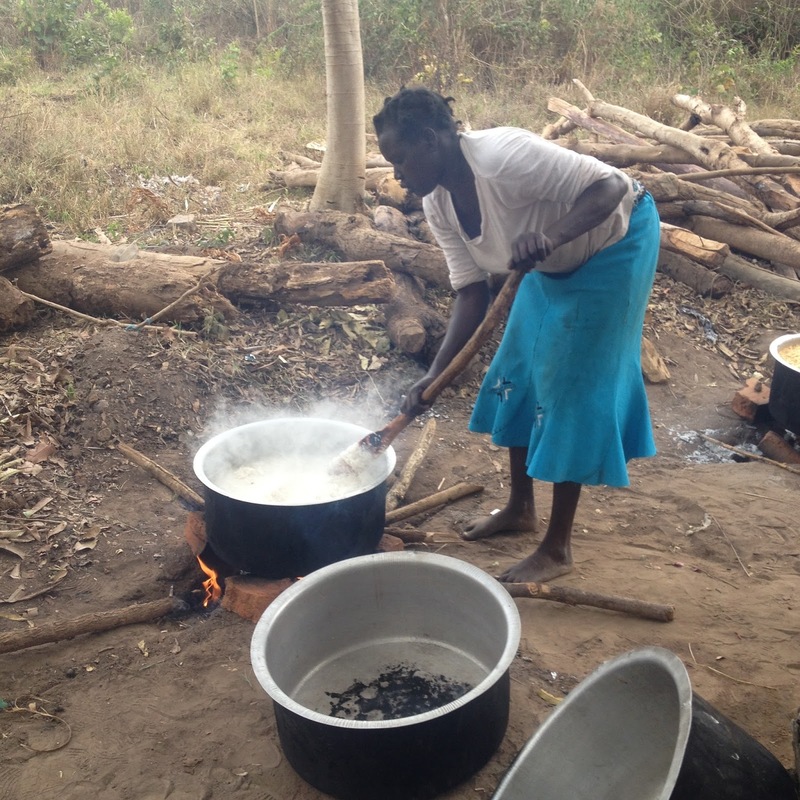 When cassava is ready we eat a lot of boiled cassava. The vegetable we eat are few but we will occasionally eat cow peas, severel types of greens. Eboo is my favorite green and it comes from the leave sod the Amaranthus plant. It is slimy like boiled okra and it usually prepared with g-nut paste (ground up peanuts). Every once in awhile we'll eat pork muchomo (crispy pork). 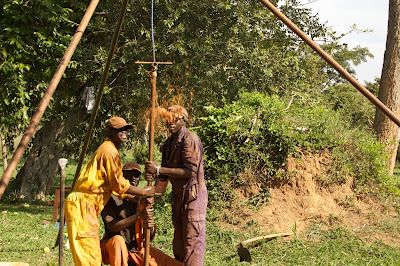 We work a good bit around Lake Kyoga so we are usually served Nile perch or tilapia when drilling in Pingire. 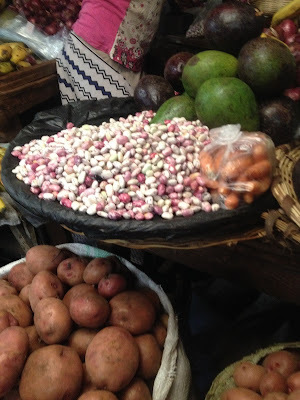 typical produce found at market. Beans, irish potatoes, avocados, etc. Our diet at home is pretty regular. We do not eat much meat, but Ronnie does get chicken in town. We eat a lot of pasta, soups, and rice dishes. Our major vegetable are irish potaoes, onions, tomatoes, and bell peppers. 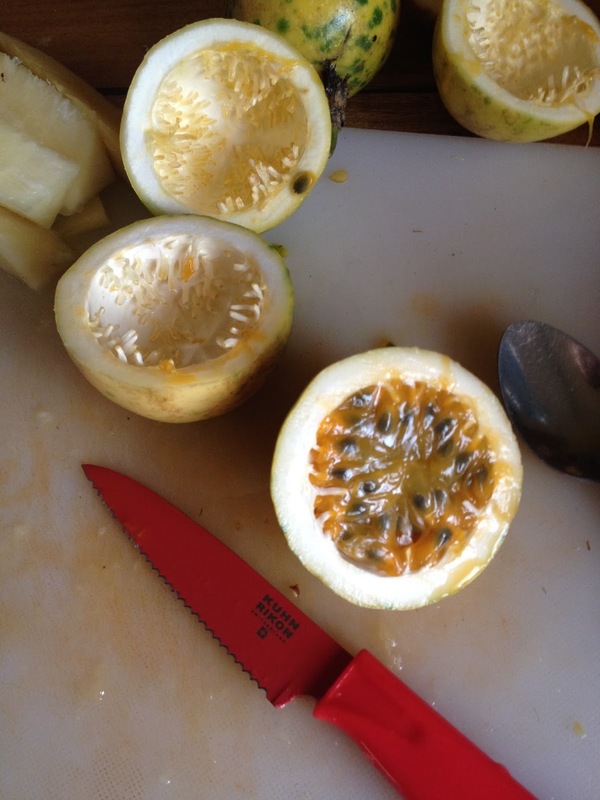 Fruit is readily available much of the year and we eat pineapple, passion fruit, oranges, and bananas. Ronnie has learned to cook very well with limited ingredients. She has a number of thing she cooks on a regular basis and all are wonderful. For instance, she can cook some of the best pancakes you ever laid lips on. Her homemade pasta sauce is excellent, and her soups phenomenal. Reclining after another of Veronica's delicious meals. Atapa and pasted meat. Pasted meat is smoked beef cooked in a peanut sauce. Folks eating atap and and pasted meat. Fresh fish from Lake Kyoga. 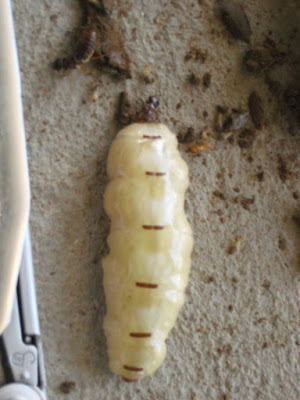 Every once in awhile I'll eat something out of the ordinary like a queen termite (tastes kind of like string cheese but with the consistency of a hard-boiled egg yolk). I try and steer clear of any offals or other weird squiggly bits. I did eat an eel-like thing awhile back that was like eating a loaf of wet Mrs. Baird bread. It tasted fishy but felt like wet bread. We always eat fried white ants after the first big rains. They are fairly good to eat, but the legs can be a little scratchy in your throat and cause you to cough. Then there was the one time Dan, Emma, Jacob, and I sat down and ate 53 oranges in one sitting. Obviously we don't eat 53 oranges a day, but that day was Vitamin C day. Now our Kampala diet is vastly different from our everyday diet. We also discovered Indian food. I did not like Indian food for a long time. 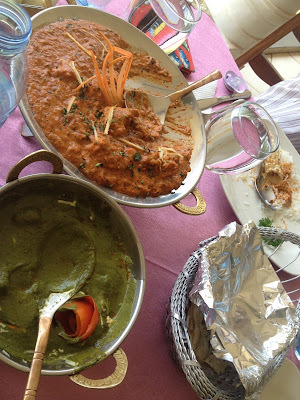 I thought all Indian food was bad curry dishes, until we discovered Khazana the Veranda and their chicken tikka masala and butter chicken. Silas discover pistachio ice cream while in Kamapala. I know he must think about it regularly because I know he sure talks about it enough. Then we also eat our fair share of pizza from an Italian cafe called Caffe Roma. Excellent pizza and calzones and pasta dishes! Indian food at Khazana the Veranda. 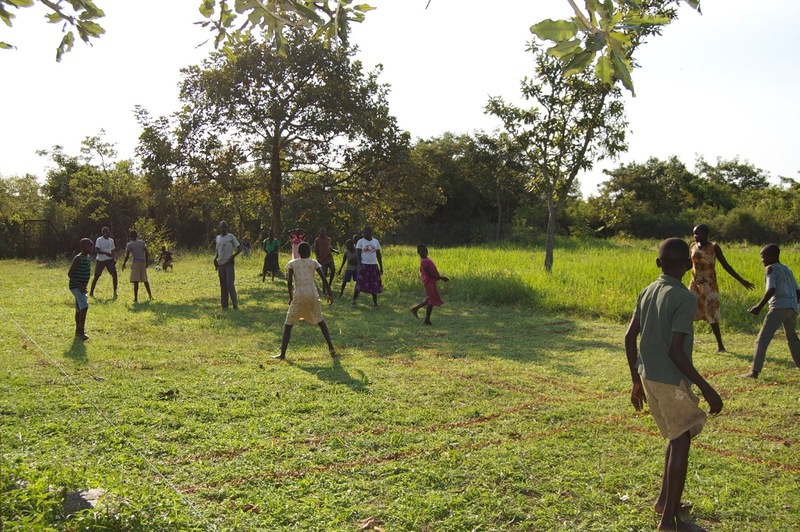 On Saturday we invited many of the kids from around the village over for some games. Truth be told, we only invited our immediate neighbors, but knew word would spread like a wildfire. Sure enough... over 50 kids showed up. Colin spent the morning in the yard slashing the compound, marking off the football field, and preparing a changa-changa court. Ronnie ran to town for food and then busied herself making snacks for the small army of kids. Silas and a pack of maybe two and three-year olds ran around like a crazy people. Aggie drooled on a mat. 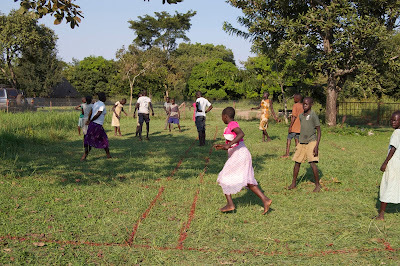 Changa-changa is a game much like tag, but you play it in teams of 5 or more. The court is marked off to look like a long house with a central hall and coming off each side. 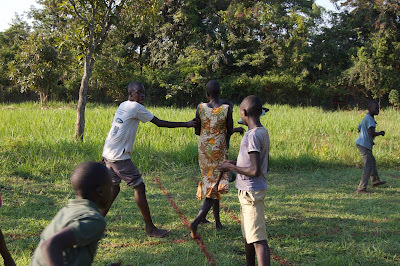 One team tries to move quickly through the rooms of the house without getting tagged by the opposition. The defenders of the house can move side to side along narrow "halls" separating the rooms and one player can roam the length of the house down the central hallway. That may not make a lot of sense, but I assure you the game is super fun. Colin loves it and so do all the area kids. 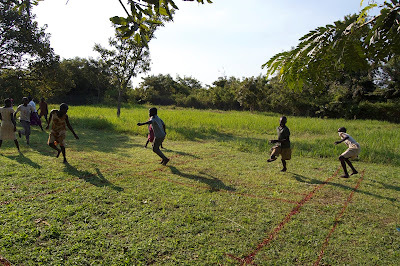 I think having a professional looking changa-changa court made the experience more exciting for the kids. 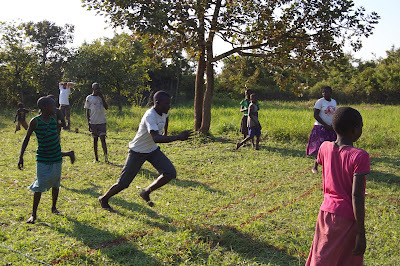 The kids and even a few adults played games all afternoon and evening until the sun went down. 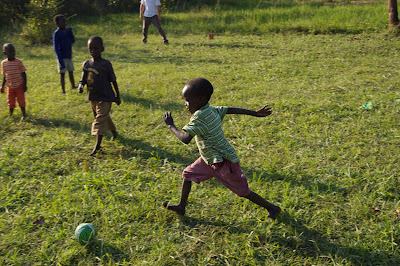 The day of games was all any of the kids could talk about at church the next morning. I would imagine this will become a regular thing since it was such a hit. 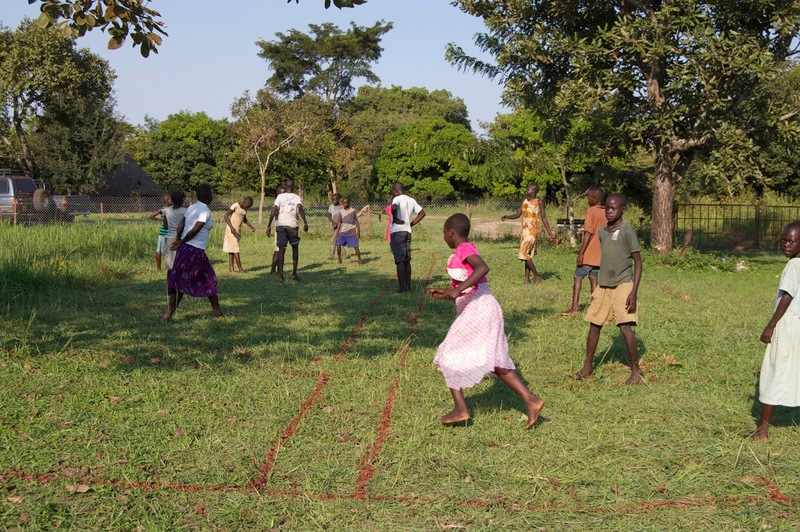 Next time you find yourself in Obule stop by for a fun game of changa-changa! At home we do not have a water well. 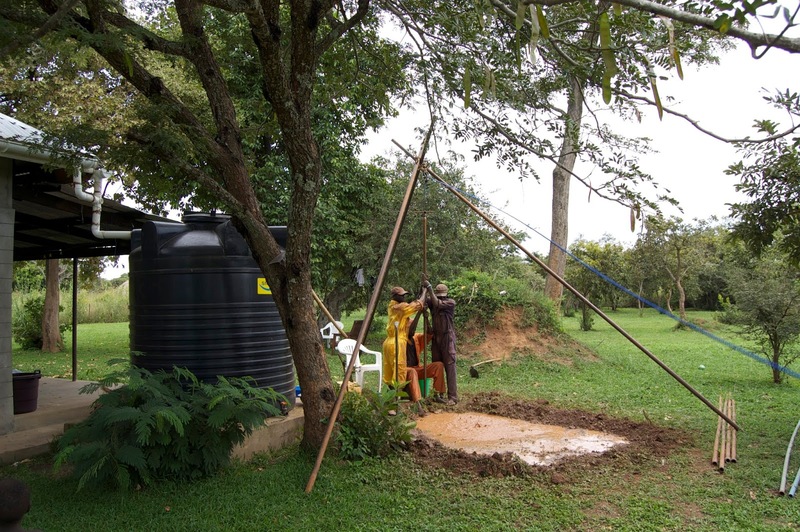 Our source of water is rainwater that we capture and store in a 5000 liter storage tank. The storage tank is wonderful and as long as it is raining we always have enough water. 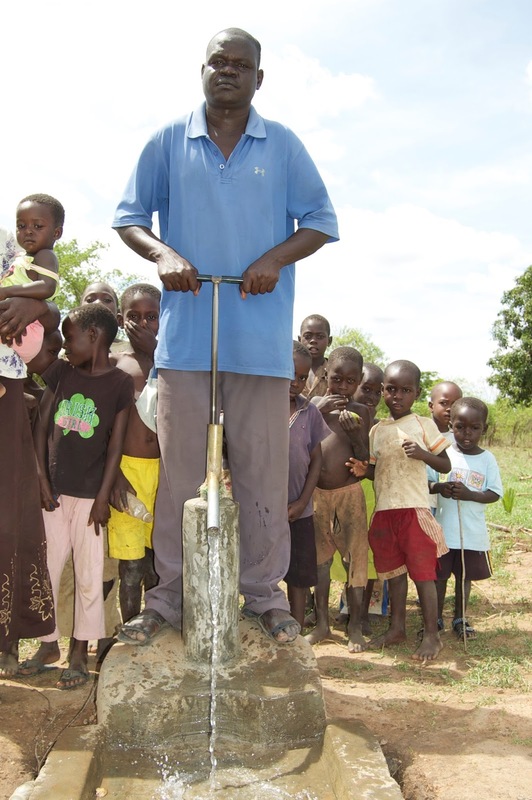 However, during the long dry season we do run out of water and we call a man from Soroti who has a water truck. Having a water well at home would be nice and would ensure water year round. 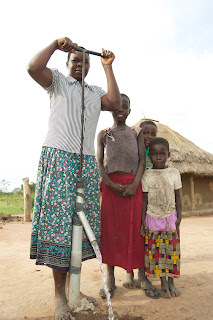 Also with a well, we could install a submersible pump and plumb it so we could have running water inside. 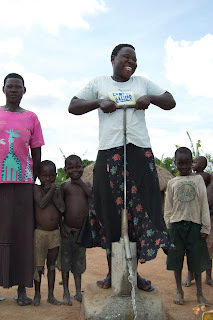 With the addition of a third kid at home and all the additional washable diapers that comes with a newborn, we thought it was about time we gave it a shot and drilled a well at home. 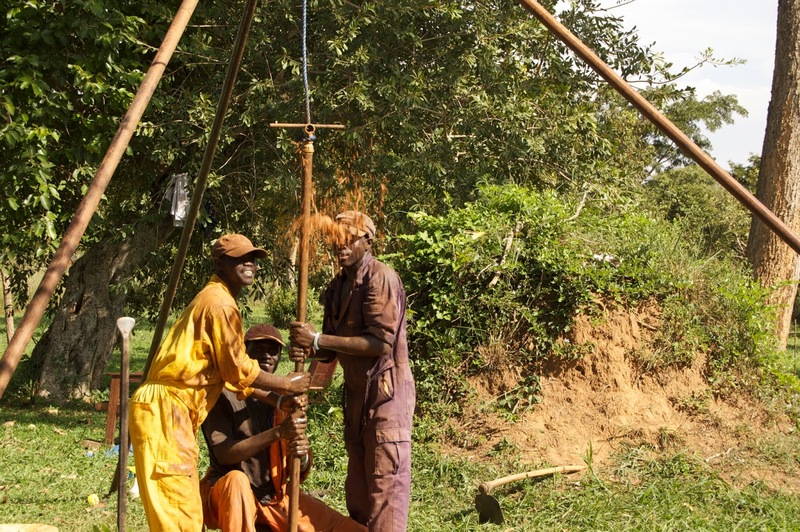 After two days of drilling we are a meter deep. Sort of depressing, but I know that in another day or two and we'll be through the thick layer of laterite (marrum) and into sand. 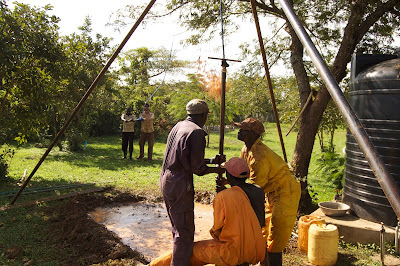 It is our hope that we can get deep enough to tap into a source of groundwater before we hit the granite bedrock. 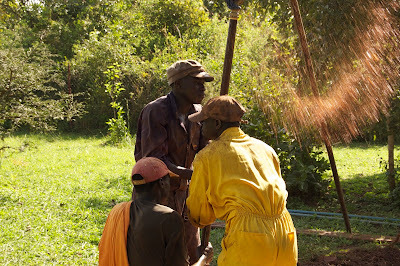 Here are a few pictures front he first couple days of drilling. Our backyard. You can see the water storage tank on the left of the shot and the drilling crew working nearby. Aggie (in pink pants on the left) sat on a mat in the yard and enjoyed all the activity. 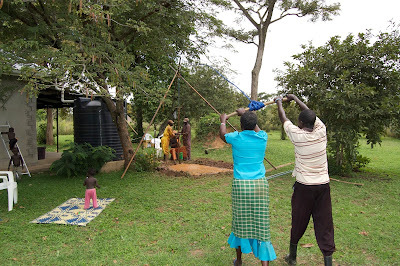 We wanted to post a few pictures of some of the most recent families and their new water wells. 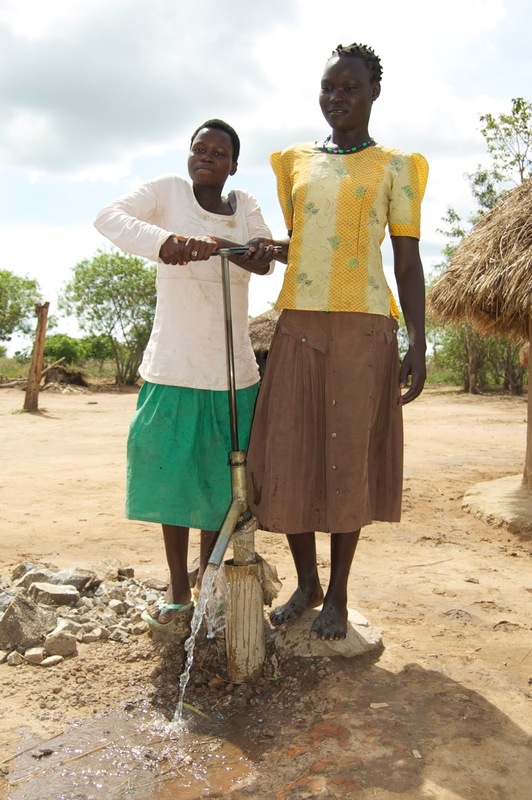 For the year we have drilled 46 water wells. The drilling was slow for the first half of the year but things have begun to pick up significantly since July.